It is the beginning of a very special weekend. My hubby is 61 today! and tomorrow, we will be celebrating 34 years together. It is also Rene's daughter's, birthday today! Happy Birthday GRACE! No surprise that our Inventory challenge theme today is BIRTHDAY . I have decided to make a masculine card. I honestly don't know why... but it is Captain Edwin who presented himself to my mind when I was searching for an inspiration. So, Captain Edwin it is. 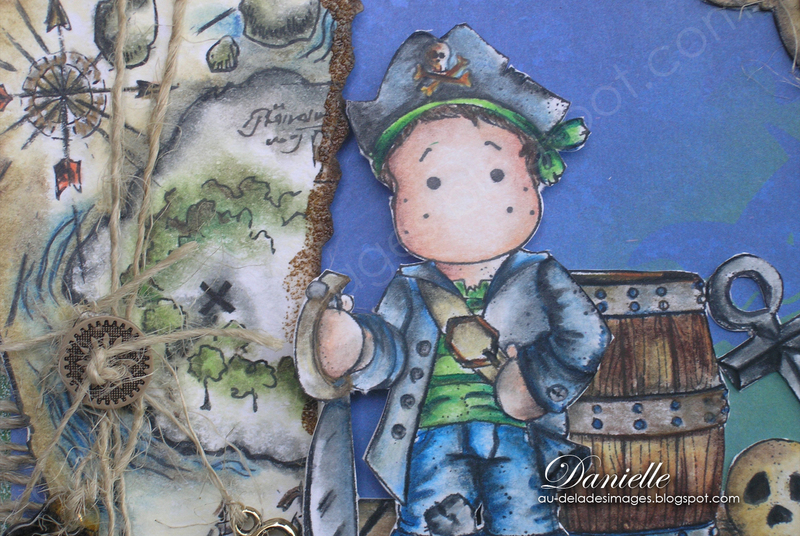 Since I loved the movie Pirates of the Caribbean, I decided to inspire myself with this special "vintage" style.I used digi stamps from Make it Crafty and my papers are from BoBunny, Barefoot and Bliss collection. The lovely jute is a gift from my dear friend Christina. My images are all colored with Prismacolor and solvent, on Bristol paper. I have stamped a little shell on a Tim Holtz acrylic charm with Stazon, and colored it with Copics; The map is embossed with Distress Vintage photo powder, I do love the burned look of that powder. Edwin, the map and the sea up front, are all in 3D. Well this is it for me. C'est le début d'une fin de semaine de célébrations chez nous, Pierre, mon mari, a 61 ans aujourd'hui! et demain ce sera notre 34e anniversaire de mariage. Que le temps a passé vite! Ce n'est pas un hasar, que le thème de notre défi soit "Bonne fête", car en plus de Pierre, la fille de Rene, Grace a 6 ans aujourd'hui. J'ai donc décidé de créer une carte masculine. C'est Capitaine Edwin qui s'est présenté à moi, alors que je me demandais dans quelle direction mon inspiration allait se diriger... Comme j'ai un faible pour la série de films le Pirate des Caraïbes, j'ai voulu donner un style ancien, à ma mise en scène. Je me suis servie des étampes digitales de Make it Crafty, et mes papiers sont de BoBunny, collction Barefoot and Bliss. Le joli ruban de jute est un cadea de ma chère Christina. Toutes mes images sont coloriées avec du Prismacolor, sur papier Bristol; l'embossage est fait avec la poudre Distress Vintage Paper, j'adore le look brûlé et vieillot, parfait pour le parchemin. J,ai utilisé une petite breloque de Tim Holtz, coloriée avec du Copic, sur laquelle j'ai étampé un coquillage avec du STazon. Edwin, le parchemin et la vague en avant plan, sont tous en 3D. Voilà, c'est tout pour aujourd'hui. I have left an opening on the top of the chest image, to place a gift card, or money. J,ai laissé le dessus de l'image du coffre dégagée, pour insérer une carte cadeau ou de l'argent. A side view of the 3D effect. Bon vendredi, je vous souhaite un agréable fin de semaine! Prenez un moment pour aller visiter mes compagnes de défi, je suis certaines qu'elles nous ont concocté de merveilleuses créations. La semaine prochaine, notre thème sera un marque page. Have a beautiful weekend, and please take a moment to visit my dear friend Christina, and all our great team mates' creations. Next week our theme is a bookmark. WOWZERS!!! What an amazing card!!! Your coloring and details are simply phenmomenal!!!! Love how you have the waves of the water on front of the card. Hey that embossing is a great find too!! I love it all!!!!! Fabulous inside and out!!! I love your card Danielle! Great vintage look, beautifully decorated inside too and what a fab design! GASP!!!! OMG....THIS IS AMAZING, HON! The inside is as gorgeous as the outside...wow!!! Love the map and all the other magnificent details. What a beautiful scene you created! HAPPY BIRTHDAY, PIERRE, YOU LUCKY MAN!!!!!! Congratulations on your upcoming wedding anniversary! 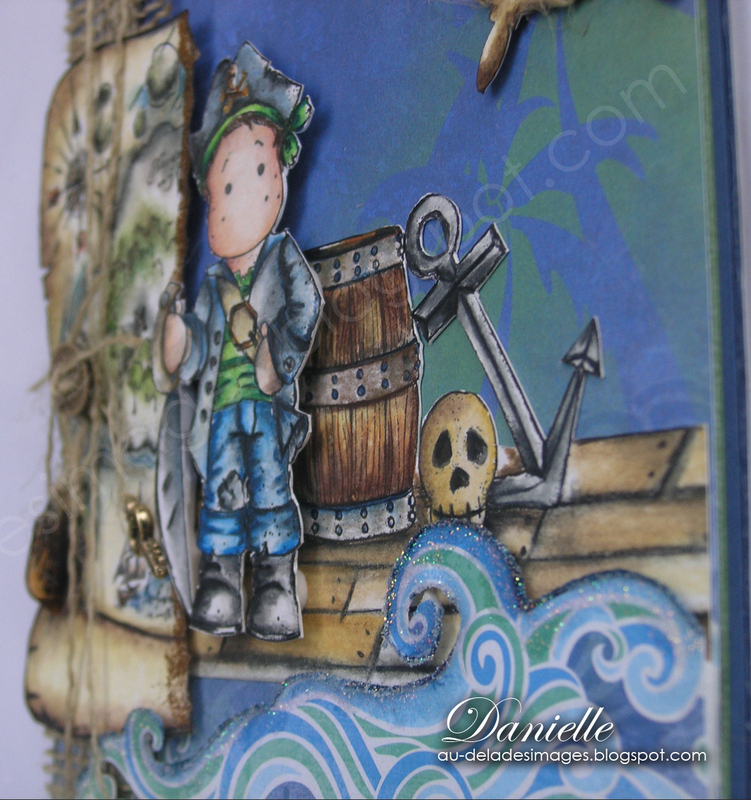 Absolutely gorgeous pirate card, Danielle!!! I love all the elements and dimension! The wave looks fantastic and love the corrugated board in the back!! That map...oh my gosh that map is amazing!!!!! You rocked this card, my friend!! A very happy birthday to your hubby!!! I hope you two enjoy a wonderful day together!! Awesome! Everything on this card looks great! I love all the details you added...everything is just so perfect! What a great job!! Encore une fois tu nous émerveilles!! Que c'est joli...avec tous ces détails...en la regardant on dit...Wow!! Joyeuses célébrations...bonne fête à ton mari et je vous souhaite encore de nombreuses années de bonheur!! Happy Birthday to your husband - Pierre. Gee that sounds so French. I know why you chose this theme - because Pierre is the captain of your ship. 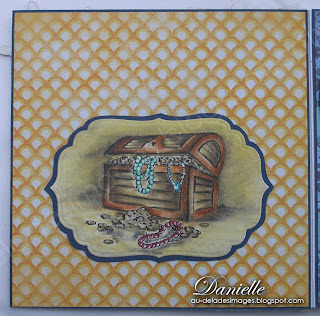 As far as the treasure chest is concerned - money is good. This is one jolly good scene card. You are so clever. Love the map - love the waves -- one fantastic adventure card!! I'm LOVING Edwin today! Great job on the treasure map, too. WOW! This is GORGEOUS! Your coloring is just perfection! Totally amazing!!!! P.S. I can't wait to show Grace her birthday sentiment! She's going to be so excited that she was mentioned in blogland!!!! Wow out of this worls gorgeous!!!!!! 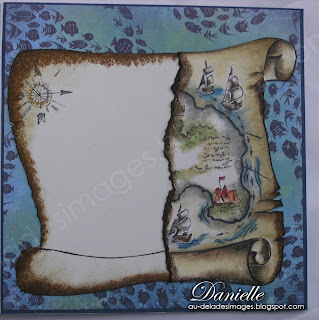 What a fabulous job you did on this Danielle!!!!! Splendide!!!!! Love this Danielle! Awesome Pirate coloring and creating! Already saved your photos for pirate inspiration! So cool! 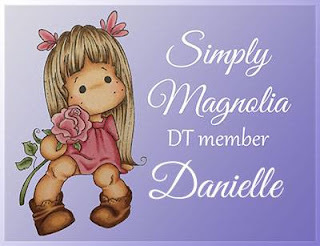 This is wonderful Danielle! Love how you have created the scene with the map and the water. Your colouring is lovely,love the inside too! Awesome card!!! De passer du romantique au masculin juste comme cela c'est fait comme par magie. J'adore la petite corde avec le bouton et que dire de l'idée `génial` du coffre pour suggérer un beau cadeau. This is just delightful, Danielle. I love the colors you chose to use. It's just perfect in every way! Wow! 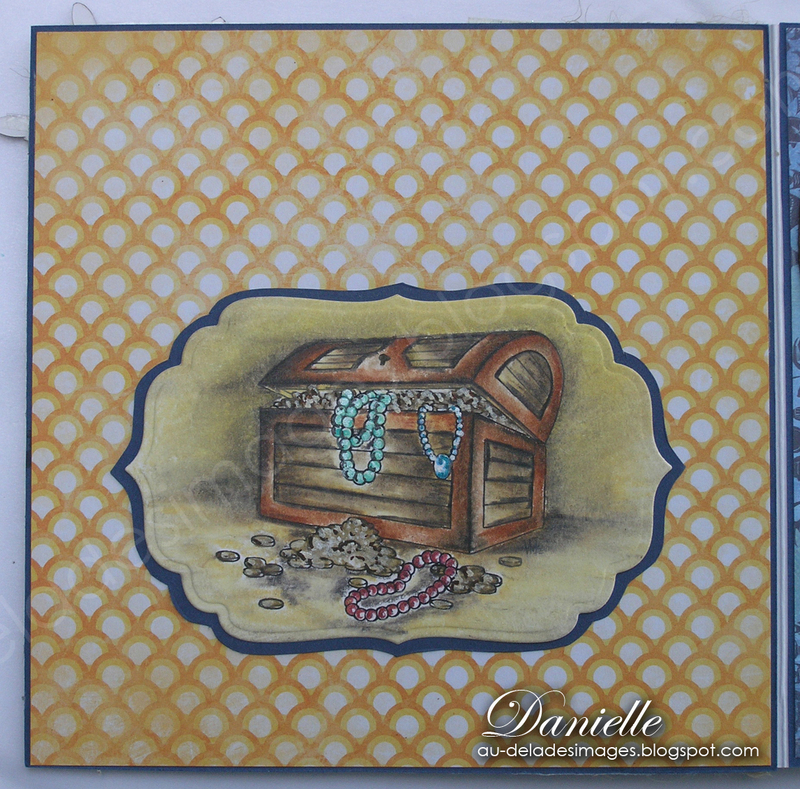 Fab card and thanks for joining us this week at Creative inspirations. Your cards are gorgeous! I like the design, all the great details and your colouring! Have a great day! Gorgeous card! I love the design, all the great details and your fantastic coloring! I am trying to get up off the floor after seeing this card... wow what a beaut.. amazing.. I adore each and every beautiful detail and all of your colorful delights.. who would have thought that Edwin would have made such a delightful card as this... both inside and outside Danni you did a tremendious job..
Que de détails sur cette carte! 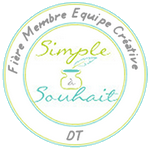 Tu passes d'un style à l'autre sans difficultés...signe de talents...humm...de dons extraordinaires! This is a gorgeous man card! I love everything you've done with this card. Edwin looks like such a swashbuckler in his pirate garb! Congratulations to your hubby on his birthday and to both of you on your anniversary - 34 years - fantastic!! The treasure chest looks like it could hold some very expensive gifts. Love all the papers you used. WOW your card is amazing. I really like the vintage look that you achieved with the PrismaColor pencils. Very nicely done. WOW WOW WOW!!! Danielle, it's fantastic. I absolutely love this. 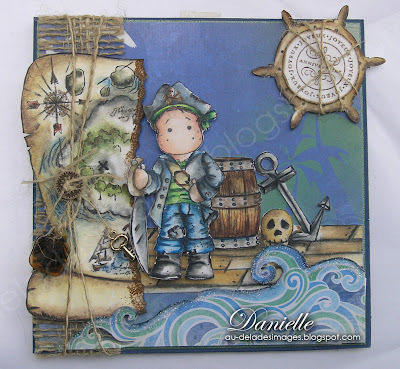 Your colouring of Pirate Edwin is fabulous and all the embellishment are just perfect for the theme. Love the 3-D look--I bet this looks even better in real life. Superb job you did on this card. Kudos. Wow! 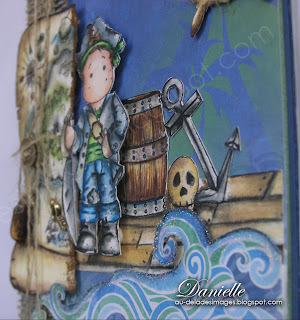 Fabulous coloring and layering and the entire idea behind this is exceptional! Happy belated birthday for your hubby! It's a great age, you should both enjoy it! Wow! That's a long marriage and wish you many many more years together! Really fantastic card; definitely have to study it closer. Gotta run now, but enjoyed so much visiting your blog!